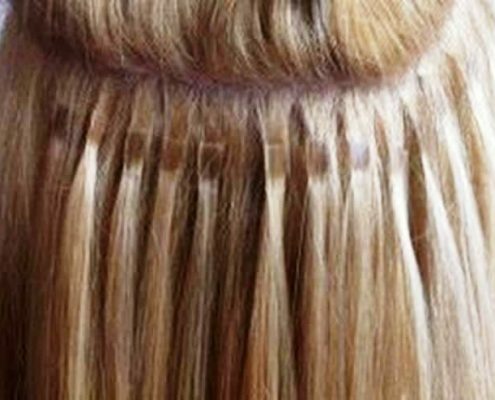 Micro ring hair extensions is one of the safest, easiest to maintain option. 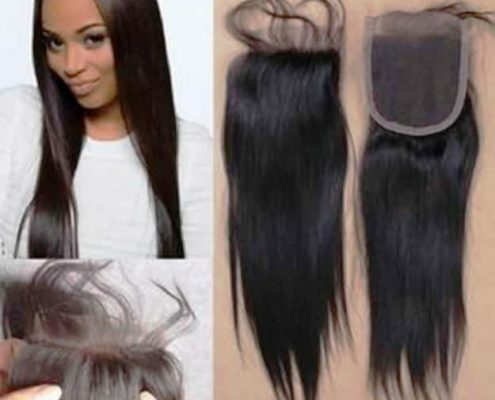 Micro Ring hair extension is free of glue, heat, and chemicals, The method combines strands of your natural hair with the handmade extension hair, which is sealed and locked into place using tiny, undetectable rings. Fitting and removal are one of the easiest hair extension available, It can be done on all types of hair. We use copper rings and are in a large number of colours and sizes, these are lined with silicone to provide a comfortable cushion for the hair and produce an elegant and flat bond. last up to 3 months before needing to be removed/reinstalled. fitting takes approx. 3-5 hours. 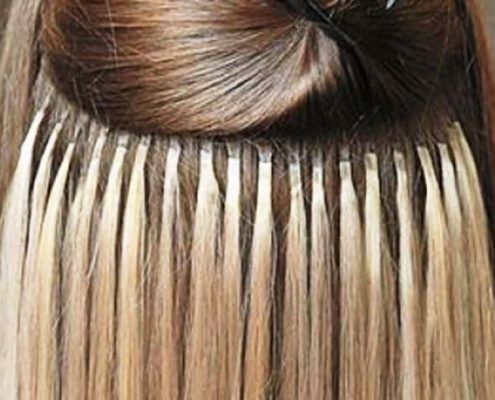 Micro bonds hair extensions is also a fusion bonding technique methods of adding hair extensions, This method is done by adding individual strands of 100% cuticle human hair to the client natural hair. Micro bonds are better suited to very fine hair also as they are even more discreet than micro rings. This technique is great for clients who like to put their hair in ponytail. You can wash, dry and style the hair extensions just like your own hair. Easy to apply and remove, are not damaging to the hair and create an undetected, free-fall and natural effect. They last for 12 – 16 weeks, depending on hair type. 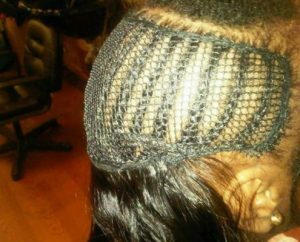 Micro Beaded weave also known as La Weave method is done by adding beads to the natural hair and weft is then sewn on it. it lays flat to the head, this method can take up to 1 hours to fit depending on how much hair is required. This method will last between 2-3 months before needing remover or refitting. 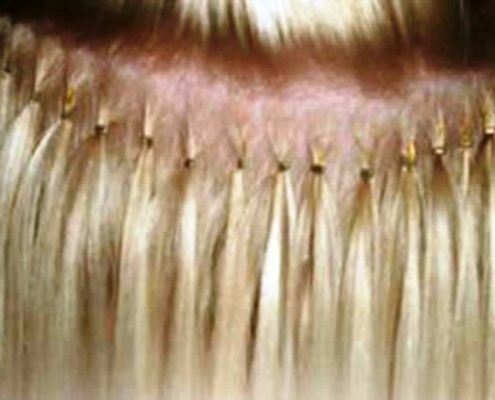 Cold fusion is a new technique of attaching hair extensions. It is a strand by strand application method but the difference is that there is no heat involved. With the help of ultrasonic hair extensions machine, flat, small and absolutely undetectable bonds are formed. Instead of heat, ultrasonic waves are used to apply tiny keratin bonds to your hair. Cold fusion hair extensions have been useful for people suffering from alopecia or any other hair loss. Cold fusion hair extensions help such people to get a natural look of thick hair. Can last up to 3-4months. Mesh integration SYSTEM is an excellent method which is specially made to add volume and length to thinning hair. Made of a stretchable mesh that allows the mesh to be worn comfortably and securely in place without the use of heat, weaving, or bonding. The natural looking foundation is undetectable and disappears as it touches the skin. It is structured to simulate hair growing out of the skin because client natural hair is drawn through mesh. This is suitable for cancer patients, Trichos, Alopecia or any other types of hairloss. This method is designed to keep your natural hair healthy, and therefore will not damage your hair. 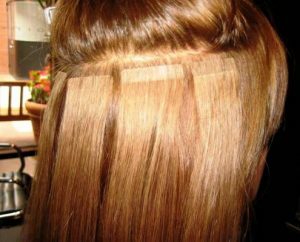 TAPE HAIR EXTENSIONS sit flat to the head making them a great choice for people with fine, thinning hair to normal. 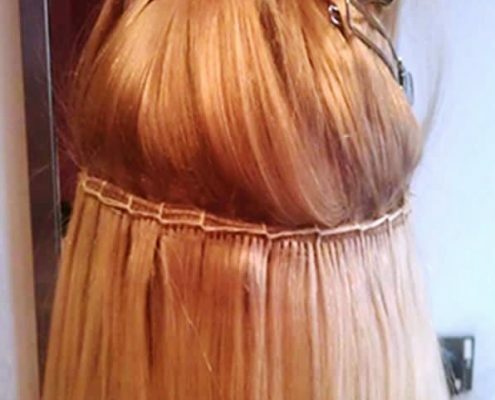 Tape hair extensions is a gentle method of achieving long hair. Thin attachment points make them almost invisible and give a very natural result. 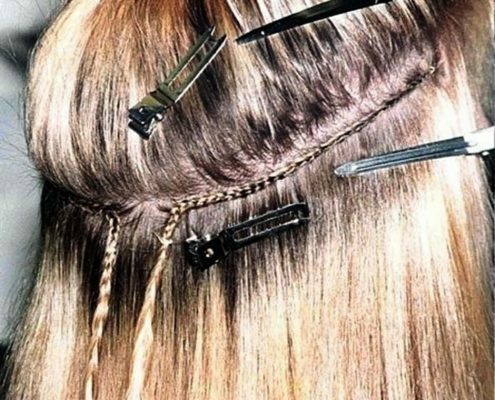 This method can be attached for a longer period of time and uses tape which has been specially developed for extensions. 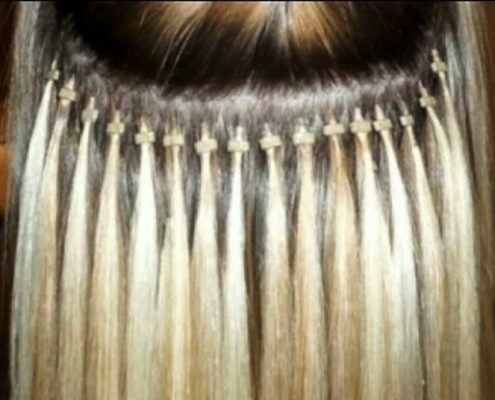 Tape Hair Extensions last approx 6 – 12weeks as long as you follow the correct aftercare guidelines. it can be remove and refitted using new tape. Some of the natural hair is left out on the top, sides and or back area. is a protective style. This is an ideal style for people who want to give their hair a break from heat, etc. This is also ideal for people who are making the transition from relaxed to natural, or are trying to grow their hair out. Client should have at least 4 inches of hair. This application can last up to 2 – 3 months. Client can have any colour or texture that they want. Micro Weft Hair Extension application method is much quicker than the individual strand by strand method. 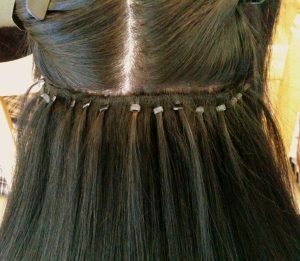 Small sections of the clients hair and hair from the weft are gently pulled through micro rings which are then clamped to secure the weft in place, these sections are placed approximately 2cm apart. No sewing is require to hold the wefts in place.